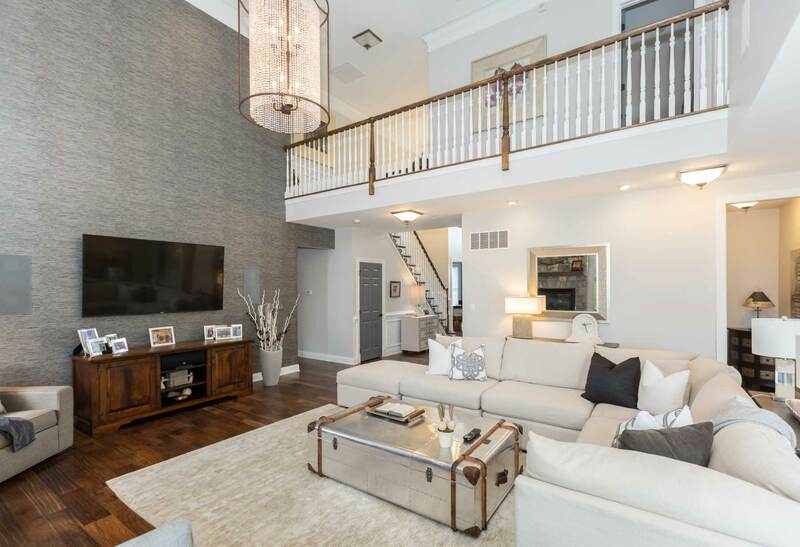 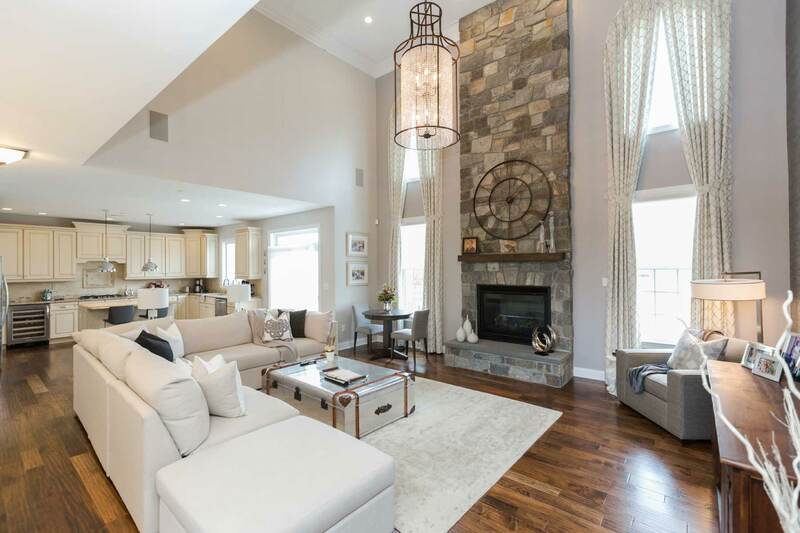 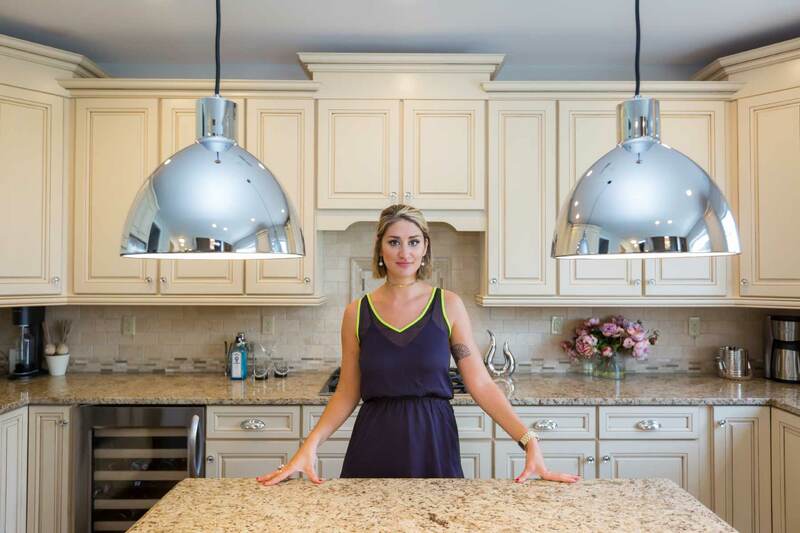 This home in Newtown Square is right off the Main Line, a few dozen miles from Philadelphia. 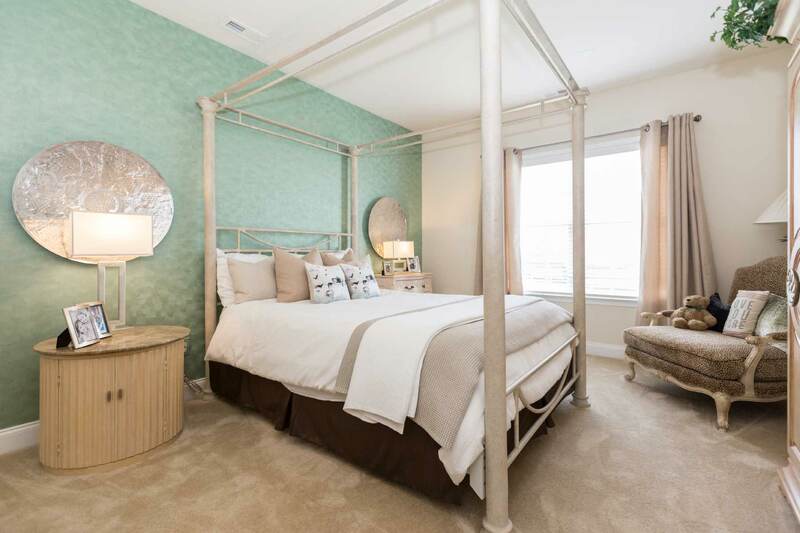 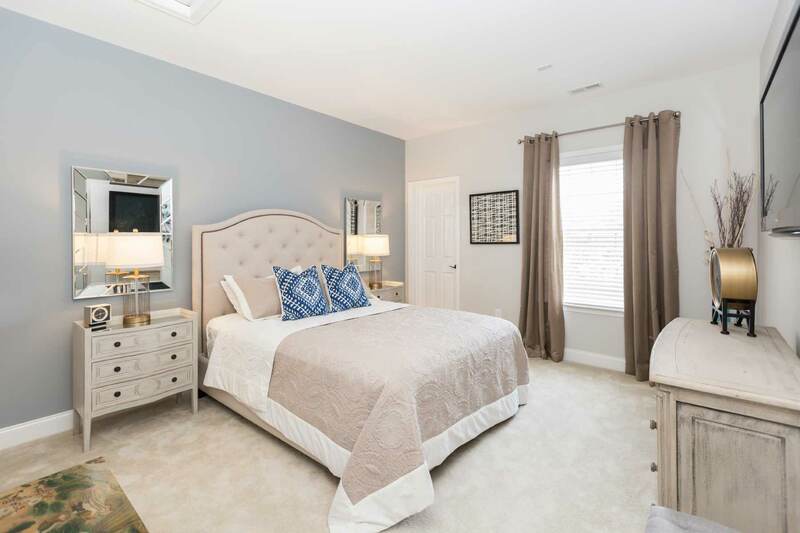 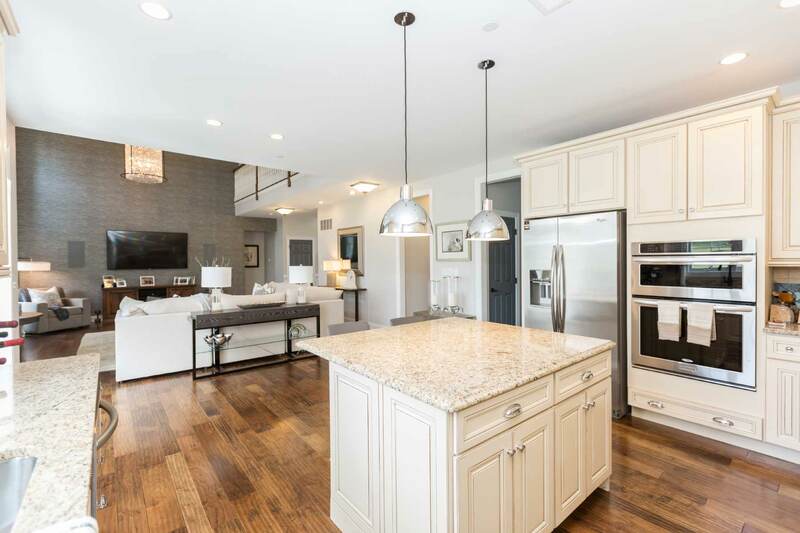 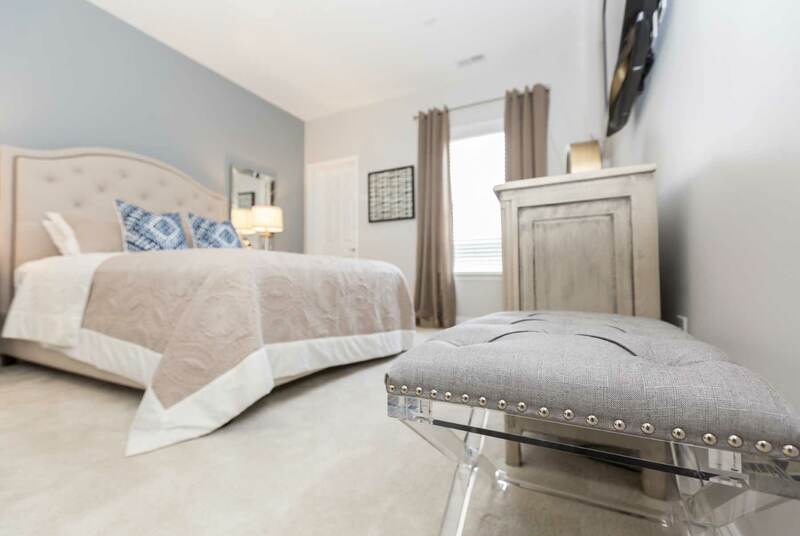 It’s in a beautiful, brand new Toll Brothers development, Liseter, boasting many gorgeous architectural details. 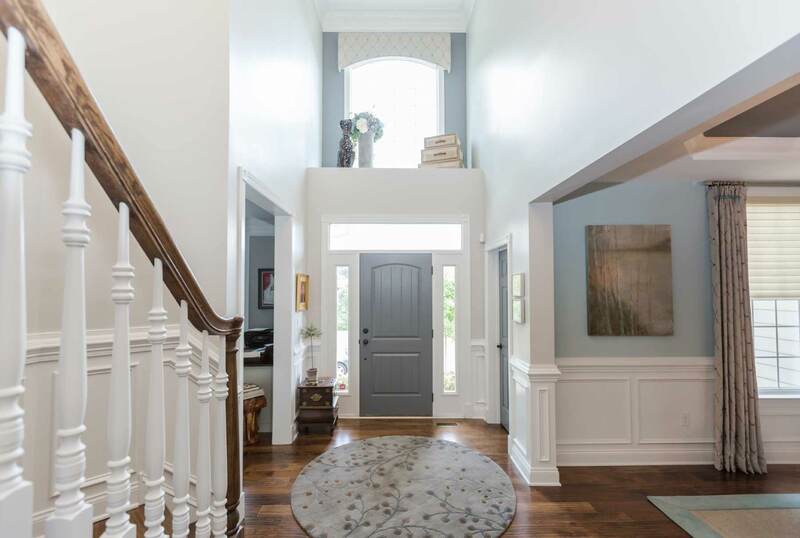 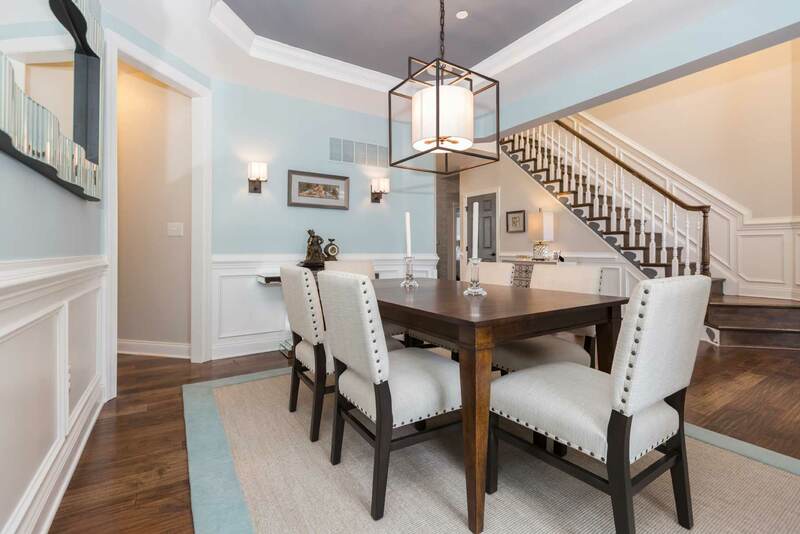 We highlighted the architecture with carefully selected paint colors for tray ceilings, c-scrolls on the stair tread skirt boards and millwork throughout the home. 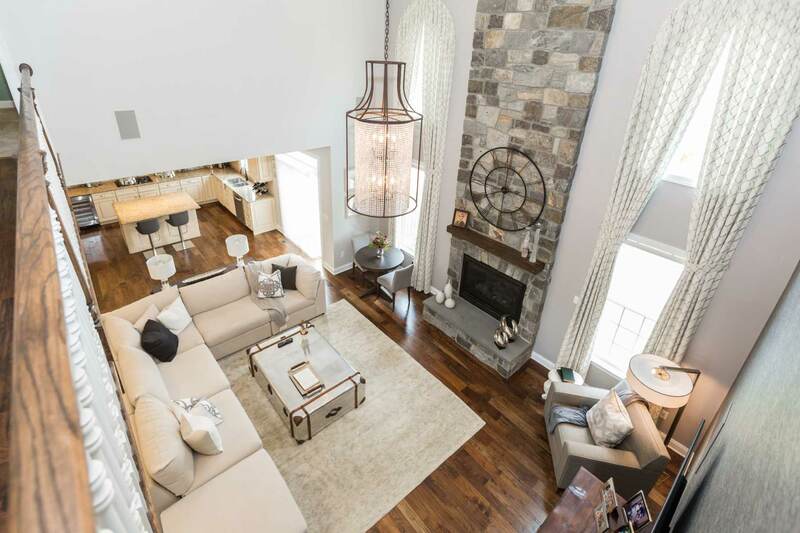 We made sure that the elemental pieces of this house remain neutral, light and airy. 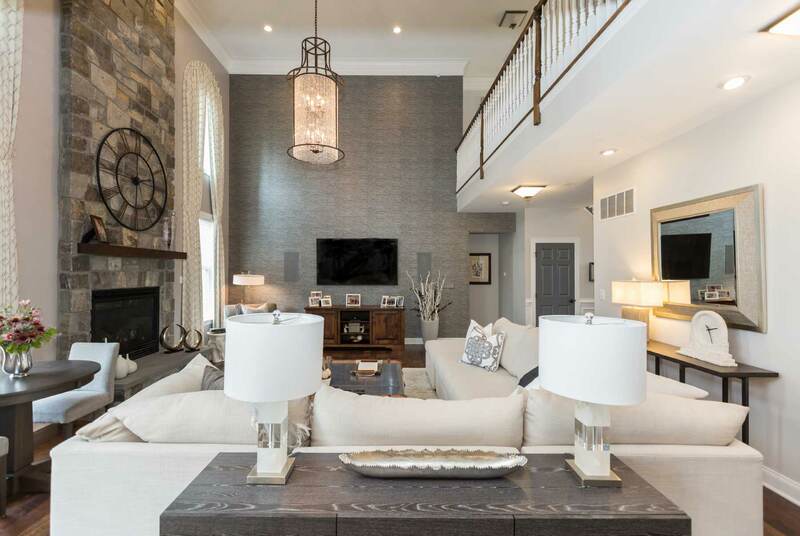 The 5000 square foot homes design incorporates 20-foot ceilings to which we applied a spectacular wallpaper. 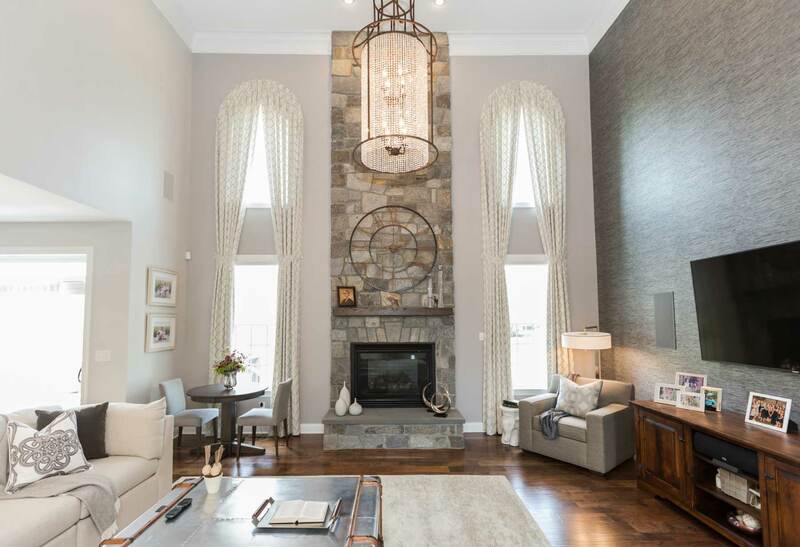 Because of the high ceiling in the living room/entertainment area we selected a large 6-foot chandelier to hang from the center of the living room and line up between windows to create a beautiful symmetry, along with the floor to ceiling stone fireplace. 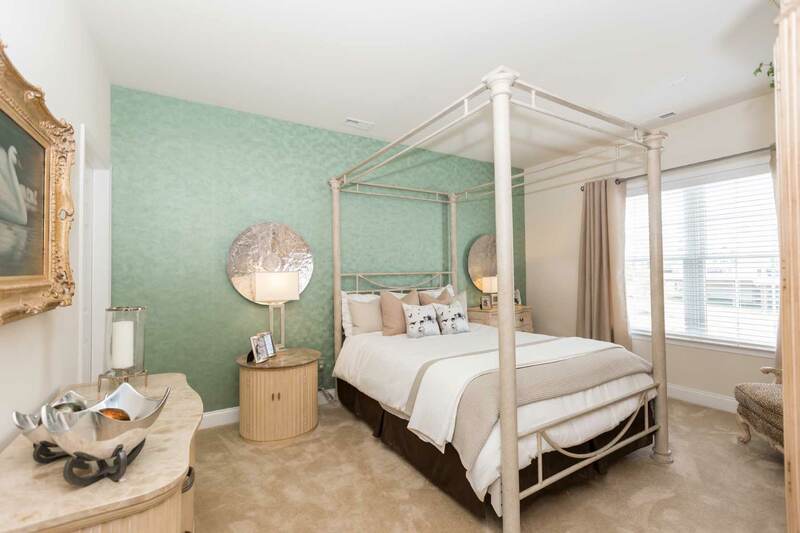 We incorporated wallpaper in the bedroom’s decor and used materials like linen, mirrors, and nail heads to dress up bedrooms. 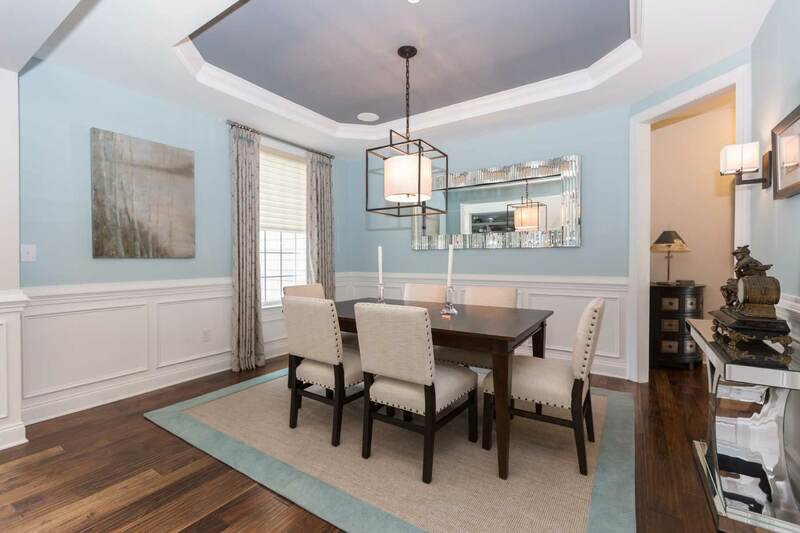 Decorative details are everywhere in this custom home – we took care of every detail from mirrors to rugs lighting and decorative home accessories.